Customers who need to move the huge, the extraordinary, or the complex look to Crowley for marine and engineering solutions. We have the expertise and equipment to provide safe and reliable marine transportation and logistics services for project cargo movements, offshore construction and offshore module components. 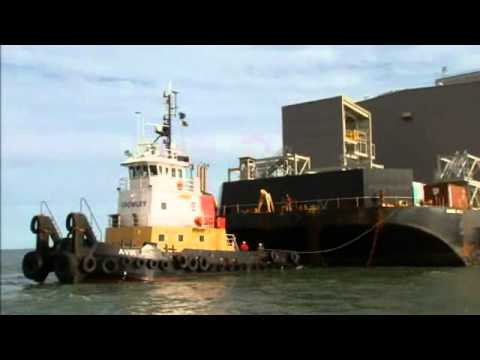 With high deck strength barges for uniform loads up to 4,200 pounds per square foot and access to all Crowley services, we can provide a marine transportation solution or a turnkey operation for your unique and challenging needs. View Crowley’s barge specs here. Visit Ibistek Crowley for specialized services in Ghana and West Africa, including engineering, construction, logistics and procurement in support of Energy, Civil Infrastructure and Enterprise Resource Planning Systems Integration.